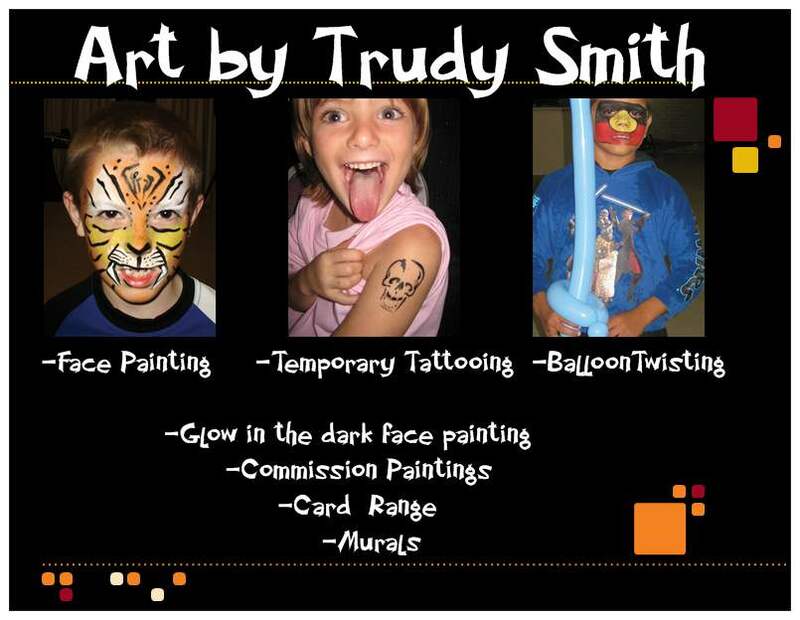 We offer temporary tattooing with glitter and normal face paint or the new and fantastic WATER RESISTANT face paint that stays on for a few days but easy to remove if required, fantastic value for parents and children because the customer can get great value for their dollars because the customers can wake up with their design still on her /his face leg arm or hand, also ideal for all sports teams on those hot days and water activities such as waters sports and beach and pool activities or theatre performers. 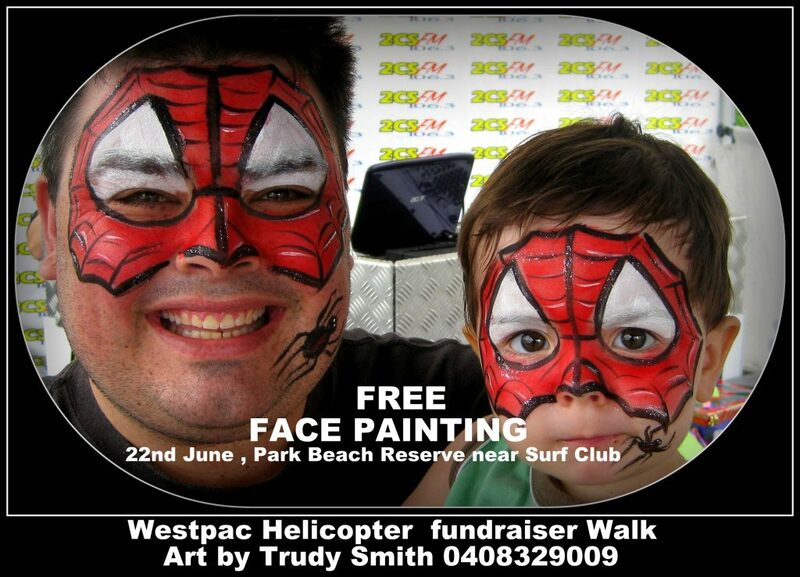 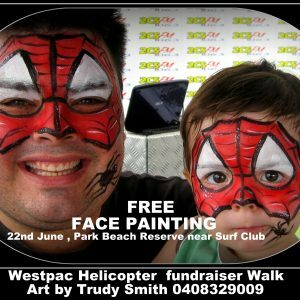 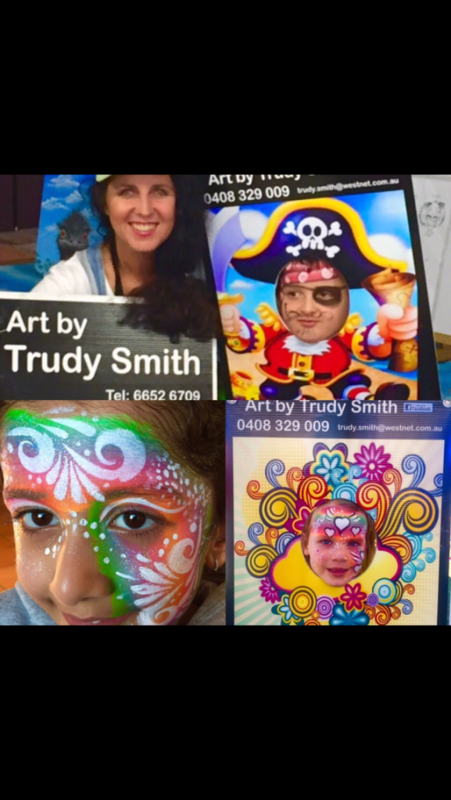 Art by Trudy Smith can a provide a unique service by designing and painting any sports teams uniforms to match their logo and team colours and painting it on their face hand leg or arms, great for spectators or teams members . 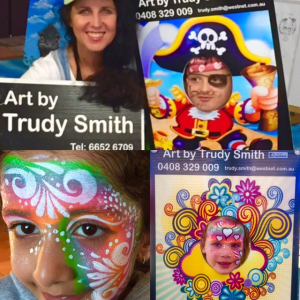 Art by Trudy Smith will travel from Coffs Harbour to Grafton, Yamba, Nambucca Heads and Armidale and provide a professional marquee for customers to view the latest designs. 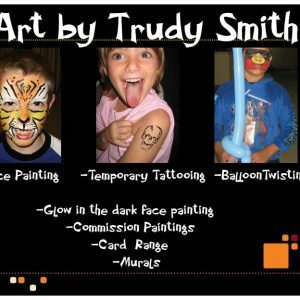 photo's of "Art by Trudy Smith"